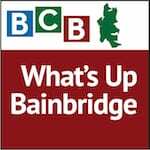 In this episode of What’s Up Bainbridge, BCB host Sonia Scaer interviews Ann Strickland, Music & Art Director of Grace Episcopal Church, about the 2014 Fall Concert Series in September and November. The Fall Concert Series is held in the Grace Church sanctuary. And, as most musicians who have played there can attest, it’s an amazing space to play and hear music. The concert series is promoting local musicians and is a celebration of the work Rector Bill Harper has done on Bainbridge. He will be retiring in spring 2015. All of the musicians are from the Pacific Northwest. The Bainbridge Island locals are Benjamin Doerr and Zach Fleury. Concert tickets are on sale online. Tickets can be purchased individually per concert or as a set. In addition there is a no-host bar with special wines; light bar snacks are included in the ticket price. Tickets and information are available at Brown Paper Tickets. All concerts are at Grace Church: 8595 NE Day Rd, Bainbridge Island, WA. Doors open at 6:30pm with a cocktail hour. The shows begin at 8:00pm. All ages are welcome. For this and other events at Grace Church visit their website. Credits: BCB host: Sonia Scaer; BCB audio editor: Barry Peters; BCB intro music: Tim Bird; BCB ferry music: DogFish Bay Studios; BCB podcast art: artopia creative.